HID InLine RFID Tags are lightweight and durable UHF tags with fast data rate communication and password protection for precise, secure and reliable reading. 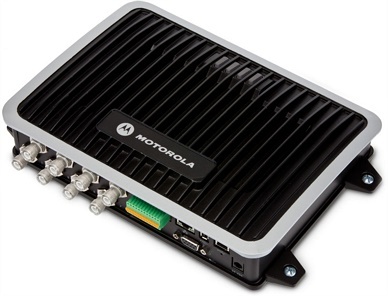 HID InLine Tag transponders can be mounted on metal, plastic or wood and come with a range of fixing options including screws, welding and glues. InLine Tags are also waterproof under high-pressure and high-temperature conditions and are chemical and impact resistant. HID InLine Tags are designed for versatility and provide reliable performance on both metal and non-metal surfaces, with the patented HID 3D antenna which enables omni-directional read range performance, independent of mounting material. Contact Dematic Real Time Logistics today to discuss the RFID requirements of your operations. 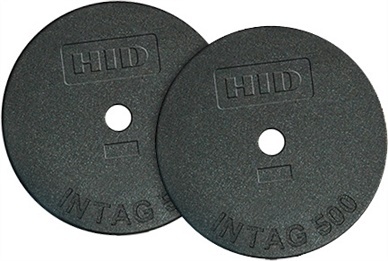 HID IN Tag RFID disc transponders are available for low-frequency, high-frequency and UHF applications, and come in a variety of sizes to match mounting and read range requirements. IronTag UHF transponders from HID were originally designed for tracking aircraft parts, and enable RFID tagging of metal equipment and components that are subject to severe conditions. 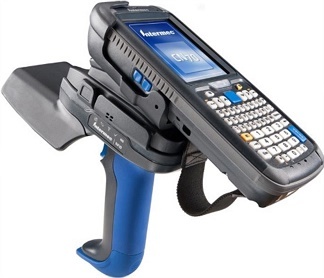 The FX9500 fixed RFID reader is designed to be durable, hard-working, and efficient. 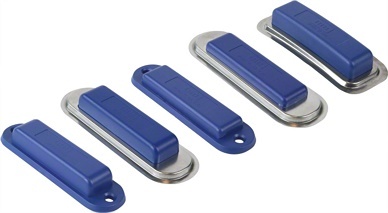 With extremely high read performance it is ideal for high-density tag environments. The Intermec IP30 is a snap-on passive UHF RFID reader module for Intermec mobile computers, which supports both in-premise and in-field applications.